The story of what is arguably the world’s most famous song is inextricably linked with SalzburgerLand. You can discover the history of this unique song bit by bit in seven Silent Night locations. But at the same time you can also take a plunge into the history of the provinces as well as the daily life and customs of its locals. Franz Xaver Gruber lived and worked as a teacher and organist in Arnsdorf near Lamprechtshausen for 21 years. The school building in which Gruber worked and also lived with his family is Austria’s oldest school that is still in operation. At the same time, it has also housed the museum in the first floor since 1957. After the renovation in 2011, the simple living conditions of the time back then are shown in the original premises. Is it coincidence that the six verses of the poem were written where winter lasts longest? In Mariapfarr, Joseph Mohr started his first position as an assistant priest and met his grandfather. In 1816 he wrote the lyrics for “Silent Night! Holy Night!”. During these times, people were suffering from hunger and poverty and yet the young parish priest continued to hold firmly onto his belief in God: The poem is an immortal testament to his faith. The Silent-Night-Museum – which in addition to Mohr’s work and life also exhibits a unique nativity landscape with various scenes – is located in the historic rectory in his honour. In Oberndorf, the time had come at last: on Christmas Eve in the year 1818, Mohr and Gruber sat together with guitar in hand and sang the two-part composition for the first time in front of the St. Nikola Church after the Christmas matins. This historic building fell victim to the constantly recurring floodwaters at the end of the 19th century. However, the song has been memorialised with the Silent-Night-Chapel. An excursion to the -Silent-Night-district of Oberndorf is particularly worthwhile in the Advent season. Joseph Mohr was the assistant pastor in Hintersee in the Salzkammergut region for 10 years. But hard times and the long winter repeatedly brought hardship upon the poorer rural population of the tranquil village. More than once, Mohr appeared as a saviour by buying meat from poachers and distributing it amongst the poorest. Where did the money come from? The offertory collection was unceremoniously alleviated, and Mohr almost went to prison for these “Robin Hood” actions. His priest’s vestment and some other original items from his belongings, as well as a Joseph-Mohr-Memorial-Path can be seen in Hintersee. Joseph Mohr was born in Salzburg in 1792. You can walk in his footsteps on both sides of the Salzach river: from the site of baptism in the Salzburg Cathedral, over whose baptismal font Mozart was also once held, and via Steingasse, where the family lived. But what would this walk be without the Salzburg Museum at Mozartplatz, where Mohr’s autograph is exhibited. This historic item was only rediscovered in 1996. Anyone who wants to experience an unpretentious Christmas replete with customs and contemplation will find just the right thing in Wagrain-Kleinarl. Joseph Mohr spent his final years here, and he is honoured every year on the day after Christmas with the Joseph-Mohr-Memorial-Singing event. Gruber’s last station in life was Hallein. After many strokes of fate (only four of his twelve children reached adulthood), he finally found peace of mind here as organist and choirmaster, and was able to dedicate himself to his great passion, music. His former residential house now accommodates a museum featuring Gruber’s life. 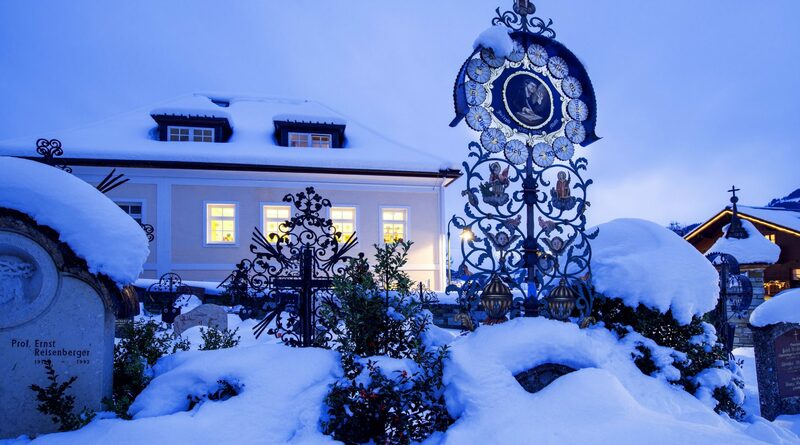 His grave – where singing at Gruber’s grave takes place every 24th of December since 1849 – is also located right next door. 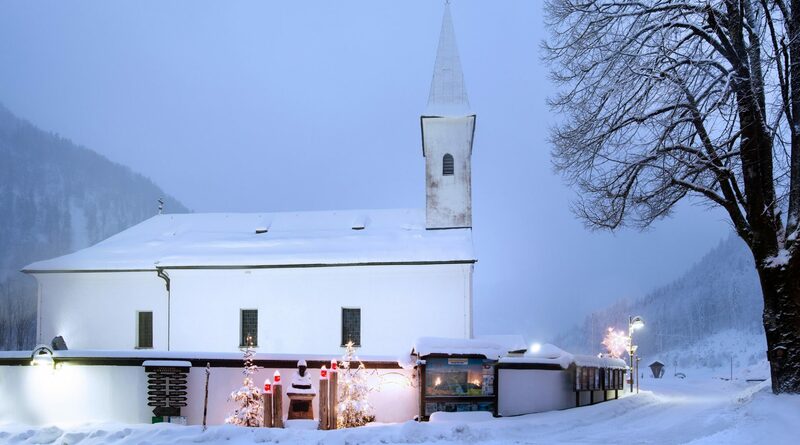 Get to know SalzburgerLand with its Silent-Night-stations. 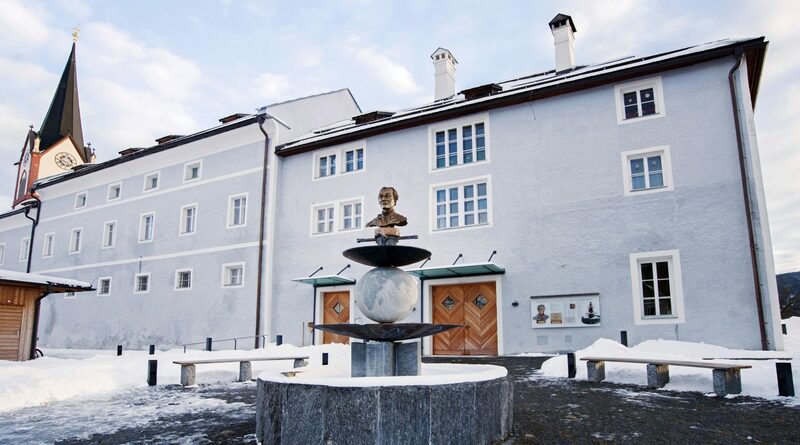 At the same time, other musicians and world-famous pieces as well as musicals also have their roots around Salzburg, such as the Sound of Music or the city’s most famous son, Wolfgang Amadeus Mozart.